Twenty years after he brought hockey to Central America from his Calgary hometown, the fruits of Bruce Callow’s passion for the game has been recognized by the sport’s shrine. A crimson jersey worn by his Costa Rican-born son Anthony, a player with that country’s El Castillo Knights is set to be hoisted at the Hockey Hall of Fame in Toronto. For former Brentwood resident and Sir Winston Churchill high school graduate Callow, it’s a fitting score to mark two decades in a land better known for steamy jungles, volcanoes and basking iguanas. And the hall of fame exhibit also reflects the increasing entrenchment of the sport in a region where it remains a novelty. “We feel great because we’re basically celebrating 20 years of ice hockey here and we’re moving beyond survival,” said Callow, a musician and music teacher who’s lived in Costa Rica since 1992. The teams, based in the Costa Rican town of Heradia, has also sent the hall souvenir pucks and calendars for a possible exhibit. They’re mementos of an odyssey that began on plastic “ice,” whose unlikely existence even caught the attention of a hockey-crazy Canadian prime minister and became a weapon of hockey diplomacy at the ambassadorial level. In 1996, four years into his new life in Costa Rica, Callow became homesick for hockey. He’d married a local woman and had two sons to whom he wanted to impart that beloved element of his Canadian identity. “You’d think being in the tropics would cure everything, but it doesn’t cure your urge for hockey,” he said. The quest for a permanent hockey presence began in the humblest of surroundings — the middle of a shopping mall’s food court. Skaters of the embryonic movement took to a plastic surface, or “viking ice” made of tiles clad in a silicon liquid. “Maintaining it got to be a problem,” he said, adding the faux freeze didn’t impress many prospective players. Nevertheless, the arrangement had an inescapable Canadian flavour: rink boards clad in the Maple Leaf were assembled by a Canadian handyman while the effort was sponsored by a local rock radio station owned by a native of the Great White North. It drew the startled curiosity of the locals whose idea of a goalie was a soccer netminder, said Callow. “Kids were watching from the sides saying ‘what’s that? '” he said. And it wasn’t long before the slowly-growing group which had dubbed themselves Mundo de Hockey, or hockey world, secured real ice at a pleasure rink at the Castillo Country Club. Callow made a decision to train in the sport’s international style, which emphasizes skill over brute strength, something more palatable to Costa Ricans with an affinity for soccer. “Their hand-to-foot coordination is superior to Canadians’,” said Callow in 2000. Eliana Vasco Correa’s son and daughter caught the hockey bug in 2016, quickly pulling their mother into it. “A couple of weeks later I gave it a try, and loved it,” said Correa, 35, who initial perception of the sport softened. Though hockey’s long found traction in hot weather markets like Arizon and Florida, Correa said it remains an odd fit in Central America. “It’s quite strange in such a tropical climate, but that is part of its charm,” she said. Since the program’s inception, voyages to the sport’s mother country for sustenance of various types have become essential. In 2000, the Calgary Flames anted up 20 helmets for their tropical understudies while local sporting good stores followed suit with other equipment. A year later, the National Hockey League Players’ Association came through with 34 new sets of gear. “We wouldn’t have gotten here if it hadn’t been for them,” Callow said of the donors. In the summer of 2011, a particularly promising Costa Rican prospect, David Vargas, got the call from Penticton’s Okanagan Hockey Academy, which provided him with a two-week scholarship at their camp. Right-winger Vargas, then 17 and a Sidney Crosby devotee, was thrilled by the NHL pedigree of some of its coaches. 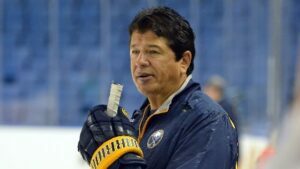 “Since they are professional trained hockey players, of course I want to learn from the best ones,” he said at the time. Vargas has since gone on to become a coach with the Knights, as have Callow’s sons Anthony and Kenneth. The unlikely puck passions of his young devotees has also been rewarded by trips to Calgary where a pilgrimage to the Scotiabank Saddledome to bask in the Flames’ glow was the highlight. This coming October, that kind of excursion will skate a stride further as eight members of the Castillo Knights take to the ice for an intermission shootout during a game between the Florida Panthers and Pittsburgh Penguins. “Those kids have never seen a game before and they’ll be skating on the same ice as Sidney Crosby,” said Callow. But it was the arrival of a special guest in Costa Rica — Canada’s best-known hockey aficionado — that had a decisive impact on the movement’s fortunes. Then-prime minister Stephen Harper was speaking at a business leaders’ roundtable in Costa Rica in August, 2011 when Canadian ambassador Neil Reider convinced him to pay the knights a visit. “Neil planted the idea early to come here — apparently the prime minister wanted to skate with us but it didn’t happen,” said Callow. But the visit’s gravitas encouraged the Castillo Country Club to cease mulling over an expansion of the rink to actually do it. “That visit was instrumental in getting our new rink built,” said Callow. That was enough to attract new players, including a record number of female enthusiasts and a nucleus of 60 players groomed by homegrown coaches like Serge Salvador, Aurelio Cence and Jorge Castiglione. It’s also set the stage for Costa Rica’s first hockey tournament in November when teams from Calgary, Los Angeles and Britain’s Falkland Island face off with the hometown Knights. The latter squad was wooed by Callow through connections made when he led a group of journalists to the islands in 2012 as a staffer with the British diplomatic corps. They’ll be up against players with a bit of individualist streak, said the movement’s founder. “I’d call it an offensive style, a tendency to stick handle all the way to the end of the ice,” said Callow. It’s a request made in Spanish, or Callow’s best custom-crafted hockey Spanglish. 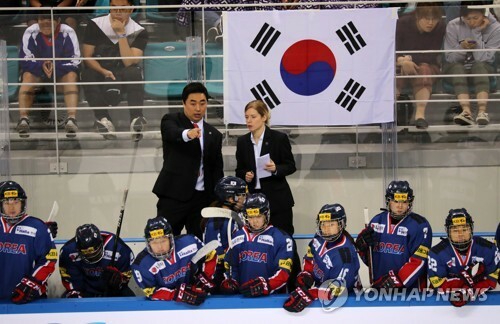 South Korea suffered a second straight loss to Sweden in their women’s hockey friendly game here on Saturday. World No. 5 Sweden defeated the 22nd-ranked South Korea 4-1 at Gangneung Hockey Centre in Gangneung, some 230 kilometers east of Seoul. In their first showdown on Friday, Sweden blanked South Korea 3-0 while outshooting their opponent 40-13. With South Korea on the brink of getting shut out again, captain Park Jong-ah got her team’s lone goal at 15:38. South Korea hosted Sweden for two games here in preparation for the PyeongChang Winter Olympics next February. Gangneung Hockey Centre will also host hockey games during the Olympics. Sweden once again came out firing from the first period, and South Korean goalie Shin So-jung again had to battle to keep her team in the game. Shin, named the top South Korean player of the game on Friday, frustrated one Swedish shooter after another with an array of saves. But it was a flukey shot that solved Shin late in the first. At 16:26, Sabina Kuller received a pass from Sara Hjalmarsson to the right of Shin just outside the crease, and flipped the puck on a backhand over Shin’s shoulders to put Sweden ahead 1-0. Shots were 19-7 for Sweden after the opening 20 minutes. The Swedes consistently found open teammates thanks to a combination of their sharp passing and South Koreans’ poor defensive coverage. For the second straight game, they were quicker to loose pucks and used their considerable physical edge to win battles in the corners. Sweden doubled its lead just 2:37 into the second period, as Hanna Olsson scored from close range after taking a feed from Erica Uden-Johansson. With Olsson left alone at the top of the crease, South Korean defenseman Cho Mi-hwan stood watching the play unfold and failed to keep the Swedish forward in check. Sweden enjoyed some extended shifts in the offensive zone during the period, cycling the puck down low and buzzing around the South Korea net for minutes on end. That left South Korean players gassed, and when they did secure the puck they had little left in their tanks to go on counterattacks and instead settled on clearing the puck out of their own zone and getting a line change. Shin had to bail out her teammates on several occasions in the second period, most notably when she denied Rebecca Stenberg on a one-on-one chance with 1:42 left following yet another defensive miscue. South Korea managed just two shots on the Swedish goalie Louisa Berndtsson in the middle frame, while giving up 20 on the other end. Shin stopped Lisa Johannson near the top of the crease about four minutes into the third period to keep it a two-goal game. But Sweden extended its lead to 3-0 at the 11:10 mark, as Maja Nylen-Persson’s point shot traveled through the screen and ended up in the back of the net. Annie Svedin made it 4-0 Sweden at 15:29 with a slap shot from just outside the right faceoff circle, after Sabina Kuller won the draw cleanly. But just nine seconds later, Park Jong-ah gave home fans something to cheer about. After Sweden won the faceoff at center ice, Johanna Fallman stumbled and fell to the ice while skating back into her own zone. Park pounced on the loose puck and skated in on Berndtsson, before snapping a shot past the goalie. South Korea head coach Sarah Murray said she was pleased with the way her players started the game, but she wanted to see more “consistency” from them. Park, the goal scorer, said she was elated to get the team on the board, because scoring against the world No. 5 had been one of South Korea’s collective objectives. South Korea and Sweden will face each other again in Group B during the 2018 PyeongChang Winter Games, where they’ll also play Switzerland (No. 6) and Japan (No. 9) in the preliminary stage. South Korea will later set up camps in France and the United States, and face Switzerland, France (No. 13) and top-division U.S. college teams. For more tune-up games, South Korea will also compete in a four-nation tournament in Hungary in November and have more training in New York and Minnesota in December. South Korea may have lost to Sweden 3-0 in a women’s hockey friendly game Friday, but coach Sarah Murray still saw enough that pleased her. Sweden, ranked fifth in the world, outshot the 22nd-ranked South Korea 40-13 at Gangneung Hockey Centre in Gangneung, some 230 kilometers east of Seoul, in the first of their two friendly games. But Murray said her players still put in solid effort, despite the relative lack of preparation. Murray also praised South Korea’s forechecking in the neutral zone and the offensive zone. On the other hand, defense will need some shoring up to do. Two of the three goals were direct results of poor coverage. Murray separated two of her best forwards, Park Jong-ah and Han Soo-jin, for this game, after they enjoyed much success on the same line at the International Ice Hockey Federation Women’s World Championship Division II Group A tournament in April. Murray said the decision was to ensure more depth up and down the lineup. The two nations will go at it for a second time at 3 p.m. Saturday at the same venue. 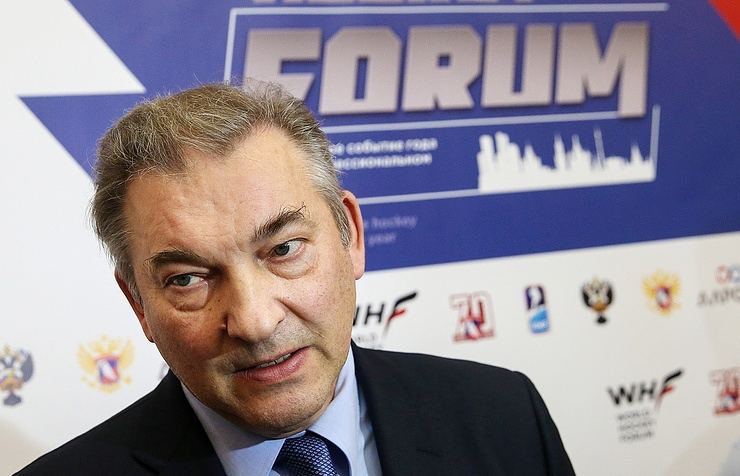 The Russian Hockey Federation (RHF) will provide all conditions to make the sport of ice hockey healthy and clean of doping, RHF President Vladislav Tretiak said on Wednesday. Russia-based Kontinental Hockey League (KHL) announced on Tuesday that the doping sample of three-time World Champion Danis Zaripov tested positive for prohibited performance enhancing substances. He was suspended by the IIHF for the period of two years, until May 22, 2019. “All cases of investigations and the following decisions to impose sanctions, including the case of Danis Zaripov, are strictly in the competence of the IIHF Disciplinary Committee in line with WADA (World Anti-Doping Agency) Code,” Tretiak said. “Neither the RHF nor KHL could in any way influence this process,” Tretiak, who is also the legendary Soviet goaltender indicted in the NHL Hall of Fame, added. Russia’s 36-year-old forward Zaripov signed earlier this month a deal on his transfer from KHL’s Metallurg Magnitogorsk club to Ak Bars, where, according to the contract, Zaripov intended to play for the next two seasons. A decision made by the US-based National Hockey League to pull out of the 2018 Winter Olympics will not be a problem for the Russian national team at the Games, he went on. The NHL announced in early April that it had decided against altering its schedule for the 2017-2018 season, meaning that international players bound by contracts with NHL clubs would not be able to leave next year to join their national teams to play at the 2018 Winter Olympic Games, which are scheduled to take place in South Korea’s PyeongChang next year on February 9-25. Many Russian ice hockey stars are currently playing in various NHL clubs. “Undoubtedly the RHF, just like many other national federations with a big representation in NHL, was interested that all of the best players would go to the Olympics no matter what league they are playing for,” Tretiak, who is also the legendary Soviet goaltender indicted in the NHL Hall of Fame, said. “The team will be made up of players from the Kontinental Hockey League (KHL) and we will do everything possible to provide for their successful performance in South Korea,” Tretiak added. The National Hockey League Players’ Association lashed out at NHL’s April decision calling it shortsighted. 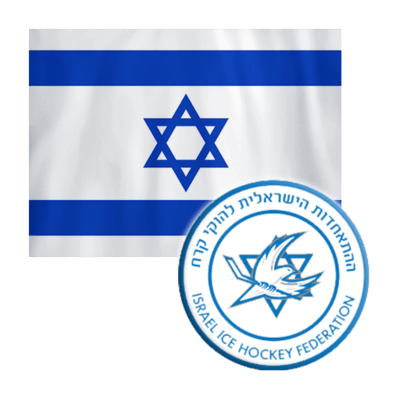 The association criticized the NHL’s authorities for not only prohibiting its players for playing on the international arena, but for building obstacles for the game of ice hockey on the whole. Hockey Canada unveiled the management team Tuesday that will be tasked with building the country’s Olympic roster for the 2018 Winter Games in Pyeongchang, South Korea.Former NHL goalie Sean Burke, currently scouting for the Montreal Canadiens, will serve as general manager, while Martin Brodeur, assistant GM of the St. Louis Blues, will be part of the management team. Former Vancouver Canucks bench boss Willie Desjardins will coach the club. Burke and Brodeur will work alongside Hockey Canada CEO Tom Renney, president and COO Scott Smith, and vice president of hockey operations Scott Salmond. Filling out the rest of Desjardins’ coaching staff will be assistant coaches Dave King, Scott Walker, and Craig Woodcroft. Canada’s men’s national team will participate in two tournaments in Russia this August – the Sochi Hockey Open and the Tournament of Nikolai Puchkov – as an evaluation process for choosing the final names that will head to the Olympics. Canada is looking to capture gold in men’s hockey for the third straight games and the fourth time since 2002. Today marks exactly 200 days until the 2018 Olympic Winter Games will open. With the Olympic ice hockey tournaments in PyeongChang not far away, we take this summer day to look forward to what will be the pre-eminent event on the international calendar in 2017/18. Working as a cashier at a skating rink, Hatice Çelik wanted to give ice skating a try one day. Her trainer Umut Çelik, with whom she fell in love with, helped her in her endeavor. As they skated on the ice hand in hand and eye to eye, they fell in love and eventually ended up getting married. After a short while, the couple decided to found an ice hockey club. National ice hockey athlete Umut and his wife Hatice founded the Istanbul Ice Pirates Sports Club eight years ago. During the first year of the club, they had just 17 members playing in the toddlers’ league, but as time passed the number of sports people in their club quickly increased. In time, the Istanbul Ice Pirates became a very successful club. Hatice started to practice more and more to be able to help her husband as much as she could. Refining her skills on skates, she became an ice hockey player at the Istanbul Skating Club. She obtained a coaching certificate after attending coaching workshops, and she served as an ice skating player and a coach at the same time. Starting to work as an assisting coach for the national team two seasons ago, Hatice had to take a break from work after she became pregnant. Continuing to serve as a coach for the Istanbul Ice Pirates Sports Club, Hatice defines ice hockey as her passion. “I explored a different side of myself after starting hockey. Both skating and watching the skaters are sources of pleasure for me. The ice is a passion, which cannot be given up once you start. Women are more passionate than men when it comes to ice skating,” she said. Hatice, who has devoted herself to the sport, places great importance on female presence in the sport. One of the pioneers of the Istanbul Ice Pirates Women’s Ice Hockey Team, she has been competing for five seasons. The only club in Istanbul with a women’s ice hockey team, the Istanbul Ice Pirates is also last year’s champion. “We are the only club in Turkey competing in seven different branches. We have 14 Turkish championships in various branches. Some of our 173 athletes are national athletes as well,” she explained. As far as she noted, women’s interest in ice hockey started to increase only recently. The sport attracts a lot of attention, especially from working and studying women. “Children are encouraged generally by their families. Women, on the other hand, see ice hockey as a different sport. There are also women who started ice hockey as a hobby and then became professional athletes. Families encourage their daughters to provide them with a hobby or make them active. Every so often, those girls turn into professional athletes in time,” she said. The time it takes to learn the sport changes from person-to-person. However, trainees learn skating in about 10 sessions. Hicran Kıvanç, 39, a mother of three, has been working at a news channel as a reporter for over five years. Kıvanç first encountered ice hockey thanks to her children. Her older son is a very active; so they wanted to enroll their children into a sports club. They decided on ice hockey because it was much different than football or basketball, which are the most popular team sports in Turkey. “My son started to take part in games as soon as he enrolled in the club. Then my younger son, daughter and my nephew also started hockey after my older son. Thus, we turned into a family of icemen,” she said. At first Kıvanç just watched her children while they skated, but soon she too started the sport as a hobby. Now, she is a professional ice hockey athlete. “I do the sport while enjoying time with my children. To be honest, ice hockey is not an easy sport. I learned it by fits and starts. You don’t care about anything when you are skating, you turn into totally a different person,” she said. A graduate of Maltepe University Civil Engineering Faculty, Emral Mutlu, 24, is a working woman. She first discovered ice skating four years ago with her older sister. Since Mutlu really loved the sport after trying it a few times, she decided she would give ice hockey a go. “I was captured by a great feeling of freedom after learning to skate on the ice. It was also a kind of escape from stress. You refresh while skating. Then it became more joyful after joining a team,” she said. Mutlu says that she has also experienced extraordinary dialogue throughout her adventure of skating. She explained that people would see her with a hockey stick on the metro bus, and asked her what she does with it. She said some people thought that she had a hockey stick to defend herself. “Everyone has their own passion for skating. One you start, you cannot give it up,” she said, adding that some of her friends want to start ice hockey like her. Twin sisters Didem and Özlem Bağcı, 17, are students at Beşiktaş Anatolian High School. Both sisters started to skate at an ice rink at a shopping mall with their friends for fun. Didem went on to figure skating, while Özlem started ice hockey upon the recommendation of her coach. After working in an artistic rink for five years, Didem too decided to give ice hockey a try, feeling inspired by her twin. “I realized that hockey is more joyful. Figure skating is a more personal sport, while ice hockey is teamwork. You can help each other, which I like about it. Now, I’m on the national ice hockey team,” she said. Both sisters are now professional athletes for the Istanbul Ice Pirates Sports Club. They both think that playing on the same team is advantageous. Skating on the rink is an undefinable feeling for both of them. During their first years in the sport, their friends were inspired by them. Some of them tried ice hockey as well, while others could not perceive what kind of sport ice hockey was. The twins aim to promote ice hockey in Turkey. “When I started the sport, ice hockey wasn’t known by most of the society. Now, people have an idea about it upon hearing the name ice hockey,” Didem said. Being twins, however, can be confusing on the rink. Explaining that ice hockey is a different world for her, Özlem said that they forget about everything on the rink and it gets rid of all the problems of life. Limassol could be the home of a state-of the-art ice arena of Olympic standards if the designs made by a local architecture team finds investors, it emerged on Thursday. According to the designers, ECA Architects and Associates, the ice-rink complex would be an innovative, energy-efficient structure that would house restaurants, cafes, offices, a gym, and a choreography studio. The designers told the Cyprus Mail that the ice rink is to be constructed in such a way so as to operate in the summer as well, without this translating to high electricity consumption. 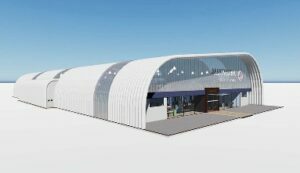 The ice rink was designed following express of interest from Russian investors, and the architects are awaiting their decision whether to proceed with construction. The architecture team has suggested two locations in Limassol where the 2,800-square metre rink could be built. The project is estimated at €3.5m. The rink will be of Olympic standards, and it could host local and international sports events, the architects said, as it will also have changing rooms, referee offices, and other auxiliary spaces. It is designed to host between 250 and 500 spectators, while there also provisions for an ice arena cover system to facilitate a variety of non-ice events.